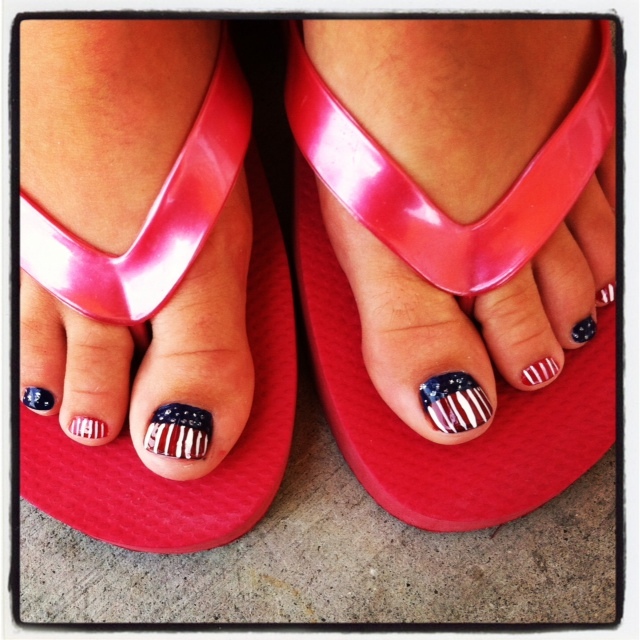 My daughter asked if she could get a pedi for the Fourth. She has a 'flag' dress, so she wanted a pedi to match. Happy Fourth of July to all of you! Celebrate, be safe! What adorable toes...:) And perfect for the month of July! Have a blessed 4th with your family! Hooray for the red, white and blue, lol.... I would wear that polish all year round. I love America even though we seem to have lost our way for the moment.